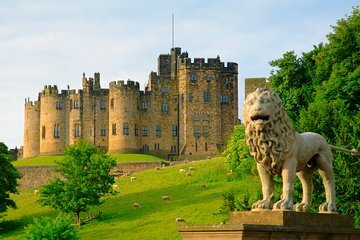 Entdecken Sie auf dieser ganztägigen Tour von Edinburgh aus die ungewöhnliche und wunderbare Geschichte von Northumberland, von Wikingern bis hin zu Zauberern. Überqueren Sie die Grenze nach Nordengland und folgen Sie dem Damm zur heiligen Insel, um mehr über die alte christliche Siedlung der Insel und die berüchtigte Invasion der Wikinger zu erfahren. Nachdem Sie das Lindisfarne Castle auf dem Hügel besucht haben, kehren Sie zurück zum Festland und weiter zum Alnwick Castle, einem prächtigen Palast mit einem völlig anderen Anspruch an Berühmtheit. Diese Kleingruppentour ist auf 16 Personen begrenzt und garantiert so ein persönliches Erlebnis. This tour was a lot of fun! Graham, our tour guide made it interesting, especially when we went to Holy Island and had to beat the tide. Great tale of his first trip there! The castle was wonderful and huge. Loved the Tree House! All in all a great day. Harry Potter's castle and site of viking raids. Great combo tour. This tour was terrible - I have worked in UK tourism for nearly 10 years and this tour was the single largest disappointment and waste of money I've ever experienced. Our guide Brian was little more than a driver. I knew entrance fees weren't included on this tour but I did expect a guide or at least commentary while we drove to the sights. Instead, Brian arrived late, didn't even take the time to give us his name I was able to catch a glimpse of his nametag. He didn't give any description or discussion on the tour aside for the times we would need to return to the bus. He was icily silent which, especially with a small group of people, was felt and made us feel like we couldn't or shouldn't be speaking either. Instead I would have gladly joined a 50 tour to these sights for a similar rate and get a guide who knew anything about the sights we were visiting. Save your money and do not book with Heart of Scotland Tours. Loved the guide! 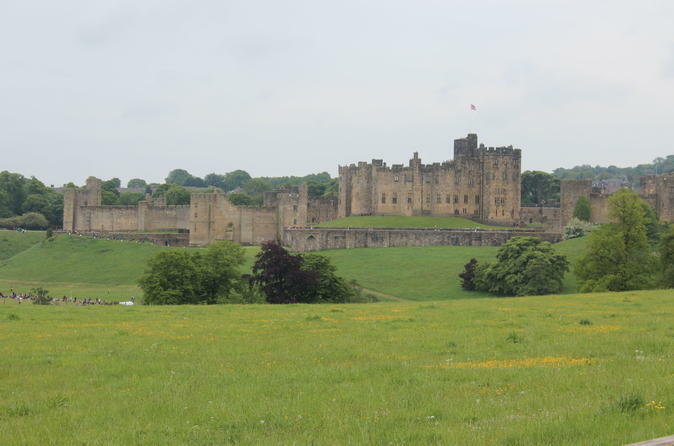 Beautiful views, picturesque, Alnwick was gorgeous! Castle on Holy Island was being worked on, so covered and didn't get to see it.